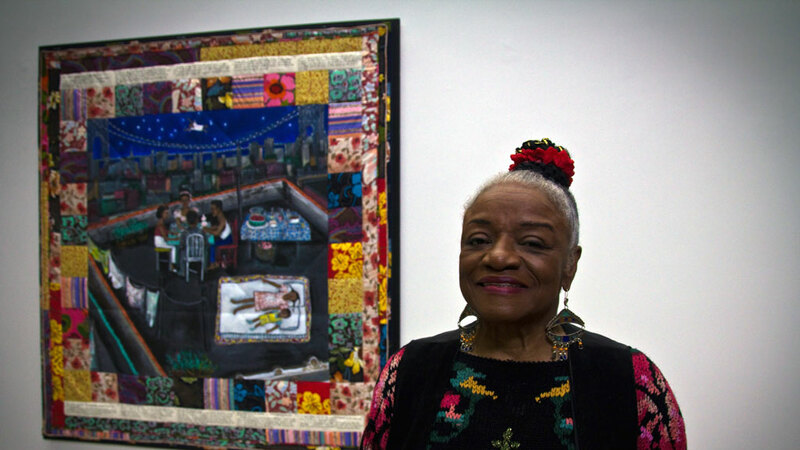 Internationally celebrated artist, teacher, and author, Faith Ringgold is best known for her painted story quilts – art that combines painting, quilted fabric and storytelling. 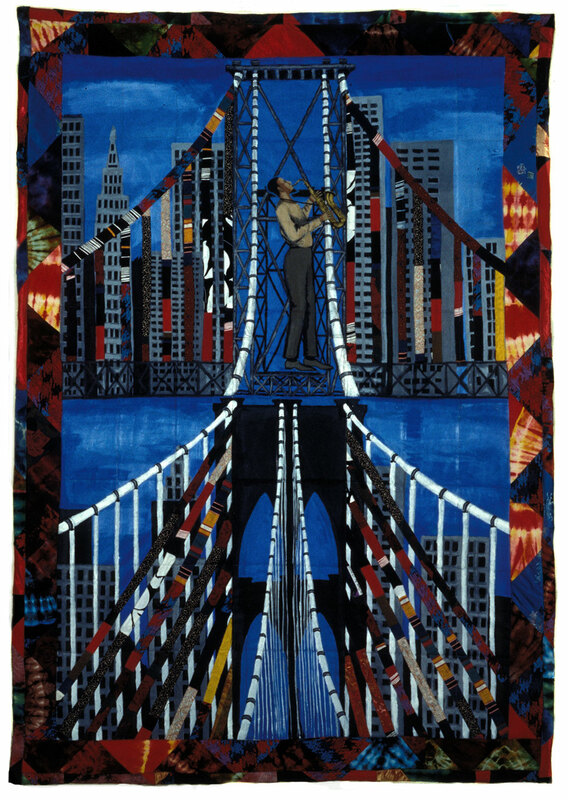 Her famous quilt, Tar Beach, resides at the Solomon R. Guggenheim Museum in New York. 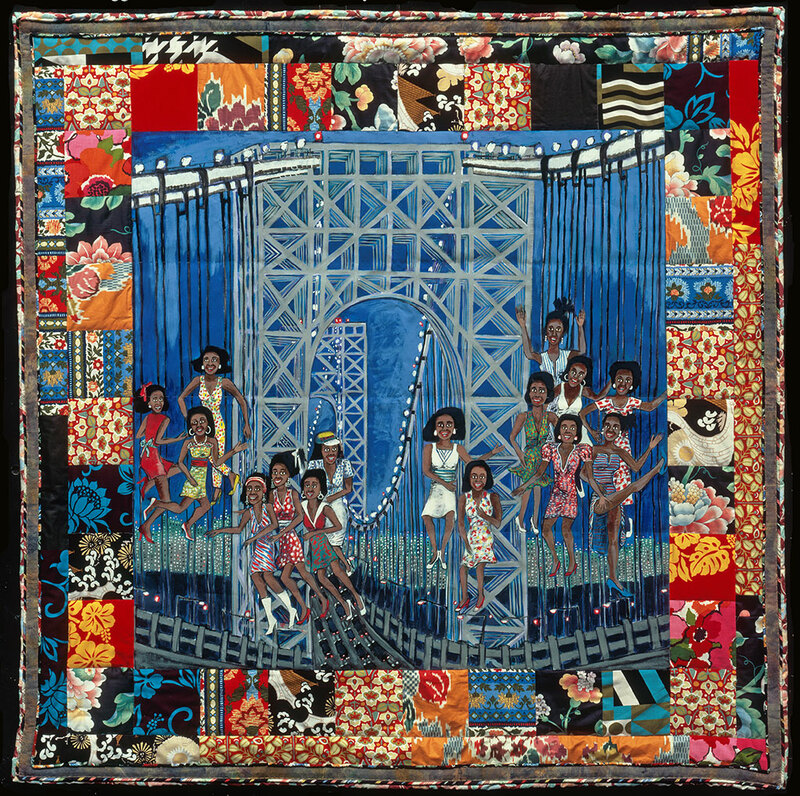 Ringgold also works in many other media, such as the notable mosaic for the New York subway system at 125th Street in Harlem, where she grew up and taught for many years, bringing the proud history of African‐American masters to a new generation.